« LeadBolt: is it worth to implement? Great. I purchased the first version of the book but never started implementing the tips as I am not very good with android programming (yet). Downloading the version 2 now. Hope it will have good info to motivate me to start working on the apps. Thanks for the comment. I hope you will enjoy the reading! can you tell how much time you spend on 1st app, on 2nd, on 3rd, and so on? First app took me about month as I have been learning SDK. I do not remember exactly other apps. Some took a few days and some a few weeks. Thanks for the updated book, great timing, I have been working on a simple project and now I’m implementing the main steps to get great downloads, lets hope that I choose wisely if you know what I mean. Great new info thanks a lot! Thanks for the comment. Wish you good luck with your new app! I have question about ad network payments. When they pay you, lets assume $3000, when they send the money to your bank account, do you lose money on currency change or do you have dollar account? Each network have their own payment terms. You may use any bank account you want – with any currency. I have purchased your ebook before and i have contacted with you 4 days ago and you haven’t sent the updated version yet! Hello. I have sent a lot of passwords lately. Please check you spam folder. If you do not have it please contact me again via my web contact form on this blog. I have checked my spams already and i have sent you same message from your web contact and still haven’t got the password yet! Sorry but sometimes (especially in weekend) it takes me 2-3 days to reply to all emails. Just replied to your email. Please check your inbox. Do you also have such a small eCPM @admob ? Yes. eCPMs on Admob are lower last months. P.S. I wouldn’t mind even paying $10 for an upgrade having purchased the book before! Let me know Kreci, and I’ll gladly make a donation! Hello. As said before update is free and you do not need to pay for it. Kreci, I’ve sent you an e-mail on May 31 asking you thye user password to have acces to the e-book updated. In thsi e-mail I’ve sent you the data related to the e-book transaction (paypal). I also posted a comment to this srticle telling you about the e-mail but up to now there is no answer from you. 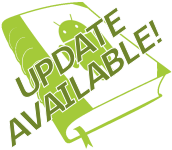 Please, check your e-mail / get in touch with me if you need any information prior to allow me access the ebook update. PS: You don’t need to post this comment. Just get in touch / give me acces to the ebook update. I have sent you an email. Please check your inbox. I purchased and downloaded the book and now I try to login and download the update but seemingly can not recall my password. The “Lost password” script sends me a password reset link which reports “Sorry, that key does not appear to be valid.”. Please, assist. Hello. Please send me your transaction ID with details via contact form. Your work seems interesting to buy your ebook. I think i will give it a try soon (when i’ll have some time to read in my busy schedule). hi.. i am good in java.i want to learn android and make money. what can i do..plz reply in my mail address. You can use any logo you want. Just edit widget after you add it. You may want to check this post. I purchased and looked over the ebook. All of the information is good with exception of your CTR. There was really no information regarding your CTR and how you get 2% + from your screen shot. What categories do you use in Admob? I currently have been doing some test but can’t get my CTR above .60%. Could you enlighten me some on this? hi, i cannot find you blog area member.